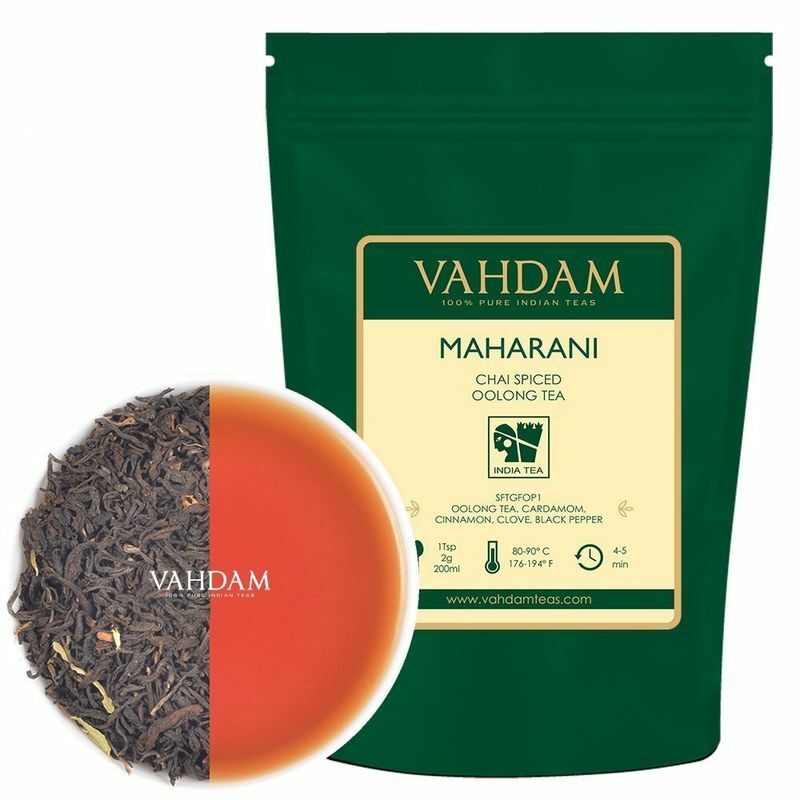 The Maharani Chai Spiced Oolong, is a tea fit for royalty. The perfect counterpart to Vahdam's Maharaja Earl Grey Oolong, this concoction was created by our master blenders by combining a unique variety of Indian oolong tea with leaves of cardamom, and spices like cinnamon, cloves along with black pepper. The liquor leaves a hint of spiciness as a aftertaste along with clonal character of a classic Darjeeling oolong.